Figuring out how to handle the care of a loved one can be overwhelming. Whether your role of caregiver is new or old, you may need new information to help you deal with ongoing changes. The Family Caregiver Support Program provides elder care services and caregiver resources to caregivers of seniors, adult children with disabilities and grandchildren. The program is funded as a result of the National Family Caregiver Act created by the Administration on Aging. It was instituted with the reauthorization of the Older Americans Act by the 106th Congress. Entry into a nursing home or assistance with home-based care services requires an assessment. Call Goold Health Systems for long-term care assessments at 1-800-609-7893. The assessment is free and will be completed in the home by a registered nurse. 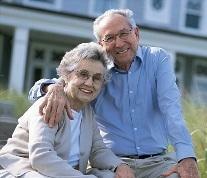 To find out more about home-based, long-term care services, click here and go to the EIM website. Speak with an attorney or financial planner. They can help you plan the financial and legal aspects of caregiving. Look into local social work services. Hospitals, nursing homes, and area agencies on aging have social workers and discharge planners that can help you plan for care of a loved one. Call SeniorsPlus for help looking into housing options such as assisted living, boarding homes, or nursing homes, we will search our statewide resource database and provide you with contact information. Caregivers, those of us who provide care in the home for an older, chronically ill or disabled family member or friend, find ourselves spending anywhere from a few to many hours a week at this unpaid task. Why do we provide care in their home or ours? Reasons vary. Perhaps it is out of love. Perhaps we want our loved one to remain in familiar surroundings. It may be out of a sense of obligation, or feeling that the cost of outside care is unavailable or too costly. It is probably a combination of reasons. Maybe we are caregivers because we fear that no one else can provide quality care. However we find ourselves in the role of caregiver, some circumstances are commonly shared. Most family caregivers find themselves in a caregiving situation suddenly and unexpectedly. Caring for a spouse is the most common form of caregiving for an older person. Most caregivers rely on experience, intuition and advice, doing the best we can without training. The role of caregiving is not easy. Support is available. Caregiving for someone can be satisfying, rewarding and frustrating. Caregivers faced with the many demands of providing care often feel the stress. This burden is the result of the emotional, physical, and financial demands required of caregivers in the normal activities of life. This caregiver stress comes with the life changes that arise when we take on the caregiving role. And how long does this caregiver stress last? It can continue indefinitely. It may endure as long as we take on the caregiver role. The good news is that there are things that we can do to cope with the situation. There is much more information available that details ways caregivers can get support. Which ways beg to be tried? All of them. Coping with stress in a positive way means practicing good self care. Maintaining good health is important for caregivers in order to maintain the caregiving role for a continued time. If you would like to learn more about any of the information you have read here, contact SeniorsPlus at 1-800-427-1241 and ask to speak with the Caregiver Specialist.